Where can I study music without going to college? For some, the idea of going back to university can be quite daunting. But for others, it is not possible as you are already knitted into a job and life. Do not lose hope; there is another option if you are interested in studying music. To study an instrument, you need to not only be able to read the finer details of music, but to be able to follow and interpret a score or a sheet of music. A piece of sheet music includes timing, breaks, tempo, soft play as well as loud and playful sections. It is therefore helpful to study music theory along with the practical of the instrument you are trying to gain accreditation for. Studying music via correspondence can be a lot less time consuming that having to sit and follow online courses. The following institutions are readily available for you to study through, and the fee includes all study material. Many of the institutions do have a separate fee for exams. There really is no excuse to not actually learn an instrument. So figure out exactly which instrument you want to master, and start inquiring at the above mentioned universities. Keep in mind that they are all paid courses, in the currency of the country they are based in. 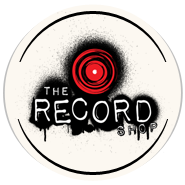 http://therecordshopnashville.com/wp-content/uploads/2018/10/nashville-recording-studio.png 0 0 Editor http://therecordshopnashville.com/wp-content/uploads/2018/10/nashville-recording-studio.png Editor2015-05-26 21:06:062015-05-26 21:06:06Where can I study music without going to college? The Highs and Lows to Self-Releasing a Record Should I study Music?